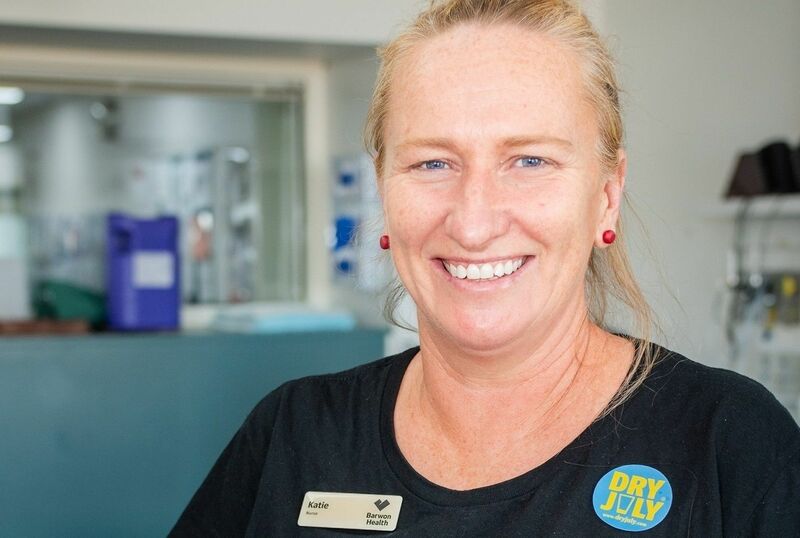 Sign up to Dry July Australia 2018 and raise funds for Barwon Health's Andrew Love Cancer Centre, Geelong. 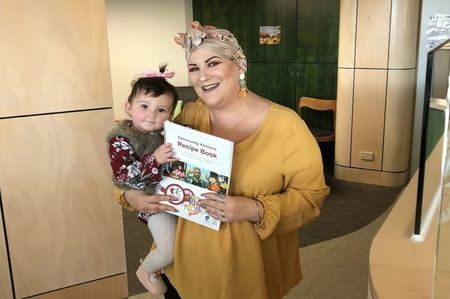 Funds raised through Dry July 2019 will help improve the patient experience for people undergoing cancer treatment at Barwon Health’s Andrew Love Cancer Centre. Barwon Health’s Cancer Services provides world class treatment options including radiotherapy treatment, chemotherapy, apheresis unit/stem cell collection, transplant clinic and haematology services. We have a dedicated cancer inpatient ward at University Hospital Geelong, and a range of complementary services such as clinical trials and pharmacy at the Andrew Love Cancer Centre allowing us to offer patients the very best treatments available. This year, with your help we’re fundraising for comfort and care therapies and equipment across Barwon Health Cancer Services. The therapies include exercise therapy which will provide patients having treatment at University Hospital Geelong with physical, mental and emotional health benefits. Dry July has also made a big difference to the ProjectLove Chemotherapy Day Ward and Pharmacy redevelopment. Thanks to Dry July participants Patients will have access to the latest technology to watch TV, play games, listen to the radio, order food, send emails and surf the internet via a brand new state-of-the-art ‘Siemens HiMed Cockpit Bedside Solution'. The system also has the capability to allow for video conferencing so that patients can communicate with doctors in a major city whilst having treatment providing 'real-time' discussions with their clinician. An integrated webcam even makes it possible for friends and relatives to pay a virtual visit to the hospital. The portal can also host education and information content put together by the Cancer Centre to educate patients about their treatment and illness. Funds raised through Dry July will also provide support to vital programs and activities at Barwon Health’s Andrew Love Cancer Centre Wellness Lounge. The Wellness Lounge incorporates wellness components and provides a range of therapies for patients as well as lifestyle and survivorship programs. The therapies provided combine with allied health services such as social work, psychology and pastoral care support. We're proud to announce that Barwon Health's Andrew Love Cancer Centre has received a grant from the Dry July Foundation 2018 Grant Program. The Andrew Love Cancer Centre Chemo Day Ward is currently undergoing a huge redevelopment; a project that has been 100% funded by the community through fundraising and donations. With no extra funds to replace the old TV's that patients use while having chemo in their chairs, Barwon Health were going to put the old TV's back in the Centre once the redevelopment was finished. Patients will have access to the latest technology to watch TV, play games, listen to the radio, order food, send emails and surf the internet. The system also has the capability to allow for video conferencing so that patients can communicate with doctors in a major city whilst having treatment providing 'real-time' discussions with their clinician. An integrated webcam even makes it possible for friends and relatives to pay a virtual visit to the hospital. The portal can also host education and information content put together by the Cancer Centre to educate patients about their treatment and illness. A valuable addition to the refurbished Dayward and one which will certainly make treatment a little bit more bearable. Kylie's Story - where her 2018 raised funds are going! Yay! I reached my fundraising goal for Andrew Love Cancer Centre! On top of this the Dry July Foundation agreed to top up my total to fully fund the a project that will have an immediate and tangible effect - printing of nutritional cookbooks. These cook books are handed out to all patients to ensure they are able to care and cook for themselves at home in between treatment. The recipes are great for those that are not used to cooking healthy food, or need to avoid certain foods due to their treatment side effects etc. It’s so easy to fundraise and obtain funds for a cause you're passionate about. This is me. My friends, family and colleagues were so happy to donate to such a great cause after hearing/seeing the way the AMAZING staff are in at Andrew Love whilst I received chemotherapy. I shared my link daily on facebook and through emails, texts etc explaining why and how I intended to raise the money to help others suffering like myself. My brother in law passed 4 weeks ago from pancreatic cancer and I was totally committed to reaching my goal in his name for our family. I am super blessed to have such awesome support in my friends and they help in any way they can. I truly hope they never have anyone go through what I have had too. This is just the start. Once I have finished all my treatment I want to donate my time helping the volunteers hand out magazines, lunch etc . At the moment I’m still currently popping in with little treats for the girls before I start radiation. These women help a lot more than they realise. I’m a 38 year old, married mother of 3 amazing kids. Mia 11, Hunter 8.5 and Reed 11months. Two weeks before Christmas 2017 I got the results I never dreamed of, I was diagnosed with Breast Cancer. Triple Negative Invasive carcinoma. As I sat opposite my GP all I could do was cry and wonder how this 5 month old baby on my lap, would cope without her mummy and how do I tell my older babies that I may die. Would my husband cope? It was the worst day of my life. The next few weeks was so overwhelming as I had so many tests and appointments to get my treatment started. They decided chemotherapy, followed by surgery and then radiation would be my treatment course to follow. I am almost finished my chemotherapy and then I will have surgery in July followed by radiation. It has been such an overwhelming, taxing few months for my family but we are STRONG and are getting through this one day at a time. I am so blessed to have such an awesome support crew around me that help with school runs, meals and support when we need. The staff at Andrew Love are simply angels and have been nothing short of AMAZING. They make you feel important and cared for. It doesn’t matter how many people are being treated at one time, they know everyone’s names and stories and talk to us all about anything and everything to pass the time quickly. They genuinely care. When I’ve been sick they have followed up with phone calls etc. They make it as easy as possible on all us so much so that I have been taking my youngest to every chemo since she was 6 months old and she is no trouble and they don’t mind her being there. They happily feed her 'bikkies' and she lights up some other patients faces when we are there as she is always so happy. It also makes me feel better as a mum that, whilst going through this, I can still be a mum to the best of my ability and not need weekly babysitters. The volunteers are also just as awesome and my oldest daughter even did a school project on helping the community. She collected magazines for Andrew Love and walked around with a volunteer, Lynette, handing them out. Not only was this a great experience for Mia but she got to see that chemotherapy isn’t as scary as it sounds and her mum was in good hands. Mia won a school award for her project. I wish I could thank them a million times over but instead I often take them treats like cake and chocolates as a thank you. By participating in Dry July you will be raising funds for people just like me who are battling cancer. Simply go 31 days without alcohol. It raises much needed money to help support people affected by Cancer. You can do it! Join me today and sign up for Dry July. No hangover for 31 days. Hi my name is Katie and I am a nurse at the Andrew Love Cancer Centre (ALCC) in Geelong where our patient’s come in for their chemotherapy and radiotherapy. I am a small part of a fantastic team at the ALCC where I have worked for over the past 13 years. Prior to this I worked on our inpatient ward. My role as an oncology nurse involves not only giving patients their chemotherapy but also providing support to patients & their families, education, encouragement, and helping them manage their symptoms. I didn’t expect to love the area of oncology but I do. You become part of a person’s life at probably their most difficult time and they become part of yours. I enjoy making a connection with people as you see them regularly and you really get to know them and they get to know you. In this job every day is different, and we do share lots of challenges but also share lots of laughs! It's overwhelming and tough for patients and it’s our job to make it a bit easier. In ALCC you meet such a diverse range of people and share lots of stories. 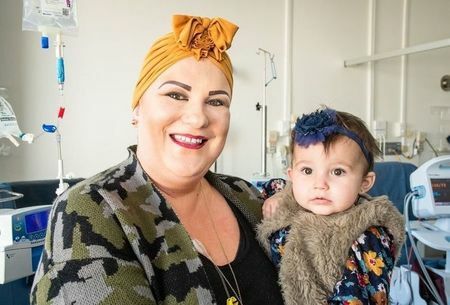 I’m amazed and inspired by people like Kylie, our Dry July Ambassador, who is juggling her treatment while being mum to 3 children. She comes in every week so positive and just gets on with it! We all adore her baby, Reed, and it’s such a lovely part of our day when they come in. Along with so many of our patients they are juggling their lives with their cancer treatment but are always so grateful and appreciative and that makes our job so enjoyable. I have been involved with Dry July for seven years. I am lucky I see first hand the real difference Dry July contributions make to our patients lives. Dry July has contributed to fantastic programs such as patients exercise therapy, art classes chemotherapy diaries and resources, nutrition and yoga classes. Every dollar I raise goes directly to the Andrew Love Cancer Centre and the patients I look after. So, I encourage everyone to jump on board and sign up for dry July or sponsor someone that is. Every donation big or small makes a difference! Think of the health benefits and NO hangovers! I live in Ocean Grove with my husband & our 3 boys and my friends and family all know I love catching up over a wine or 2 (just not in July)! So to my friends and family I thank you for all your support and generous donations because your donation is making it a little bit easier for someone affected by cancer.